Important Note: HSSC PST/PMT Admit Card for Haryana Police Constable & SI Posts are available now. You can proceed for downloading it using the official link given in this post. The H.S.S.C Knowledge Test (KT) for Male and Female Constable (General Duty) Posts has been conducted for Constable & SI IRB’s. Nevertheless, Job Aspirants have to download Haryana Police Admit Card 2019 for moving ahead in the recruitment process. The eligible and registered candidates can collect the miscellaneous information like Exam Center, Timings and all through the HSSC Constable/SI 2019 hall ticket. Moreover, your issued call letter undertakes the authority of a permission letter. And without presenting the admission certificate to authority, it is not possible to take an entry in the Examination Hall. The Constable, as well as Sub-Inspector Exam roll number, is obtainable through the official website i.e. www.hssc.gov.in. In order to get instant access, you may refer to direct links that are available below in this blog post. Candidates looking for Constable (GD) Male or Female as well as Sub-inspector Advt 03/2018 (Cat No. 01, 02, 03, 04, 05) Physical/Document Verification/Personality Test/Interview Exam Information may read the complete article below. The Haryana Staff Selection Commission has a long-awaited recruitment examination pending to conduct for Constable (General Duty), IRB (General Duty), and Sub-Inspector vacancies. As can be seen in the last few times, the authorities had extended their recruitment dates so that the maximum number of applicants who are interested in police jobs can take a part in it. According to the recent notice, the Haryana Police Recruitment 2018-19 is going to start with the written (knowledge) test first. As previously, the commission used to take the Physical (PET/PST) Test in the beginning but this year they have made certain changes. For appearing in the KT, Candidates need to generate the Haryana Police Constable/SI Admit card 2019. Also, you must take care of the relevant documents that are really essential to bring in the exam center. For the most part, you should check the instructions mentioned on the Police or Sipahi Exam Admit card. From there, you can get the compulsory documents and guidelines list. In general, the commission asks to get a recent passport size attested photograph and valid ID proof (Aadhaar Card/Voter Card etc). #3. How to download Haryana Police Constable & Sub-Inspector Admit Cards? 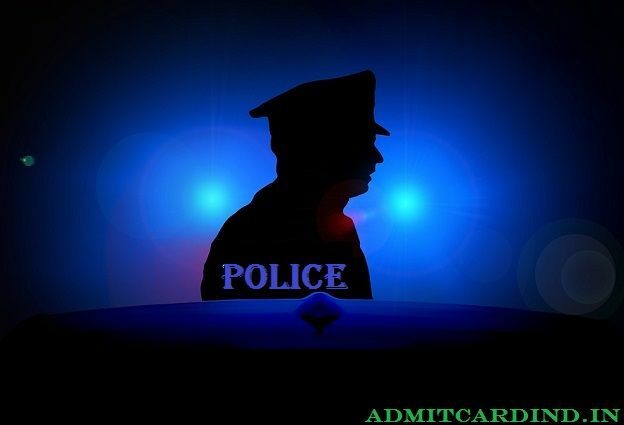 Head Over to the Official Website (www.hssc.gov.in)> Latest Notification > “Open Link of HSSC Police Admit Card 2019” > Submit credentials e.g. Registration ID, Password. Subsequently, the Police GD Constable or S.I. call letter will come out on the screen. It is advisable to save the hall-ticket for future uses. The H.S.S.C Constable Knowledge Test to be carried out for 80 Marks. There is a total of 100 Multiple Choice Questions and each question carries 0.80 marks. For any of the wrong answer, there is no negative marking. Feel free to give your responses, however, be confident in making your choice. The time duration is 90 minutes for the written examination. Only Eligible candidates are now able to download the Haryana Police Physical PST/PMT admit card 2019 from the commission’s website (online). No roll number has been sent via post. After getting the admit-cards, it will be advised to check all the significant details especially the instructions part. Keep a note of additional docs to carry. Job Applicants won’t get any allowance for attending the PET/PMT. That means they have to come on their own expenses and risks. As instructed by officials, Applicants should go through with a physical test which will examine if he/she has taken any drug to take advantage of racing or not. So, avoid doing such type of things.